Aspen, Colorado-based Woody Creek Distillery already won me over when they explained the theoretical possibility that drinking their high-end, single-distilled vodka could impart a bit of Hunter S. Thompson’s very real self. (It seems the fields where their potatoes grow sit downwind from where the Dr. Gonzo’s cremated remains were shot out of a cannon back in 2005, potentially fertilizing the spuds with his essence…or at least his ashes.) So I met the news of their new gin with enthusiasm—another way to imbue the spirit of that mad scribe. As with the vodka, the potatoes used in the base spirit are locally grown and top-quality, distilled to 190 proof. Then it’s paired with locally sourced, hand-picked juniper berries and mixed with other botanicals—fresh lemongrass, lavender, cranberries, grains of paradise, the peel of lemons and oranges, fresh lime wedges—which are macerated for a full day at 150 degrees. The end result? A singular hand-crafted gin, a mix of classic London Dry and New World styles that’s refreshingly spicy compared to more…conventional takes on the spirit. The gin is a perfectly complex drink on the rocks, perhaps with a squeeze of fresh citrus, and really wakes up your conventional gin and tonic in all the right ways. The juniper comes through, pronounced but not overwhelming. But it’s the collision of other flavors, the citric notes, the cranberry tartness, a bit of mineralization from the spices, that really pushes this gin into welcome, unexpected territories. I’d love to see what some barrel aging would do to this spirit. But then I would’ve had to wait longer. 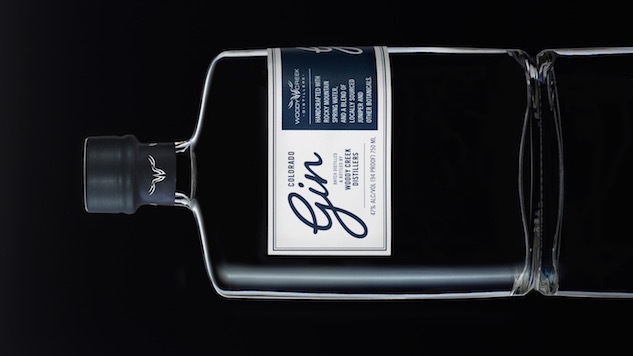 The gin was released this July, joining their line of small-batch spirits that include a straight rye whiskey and their award-winning vodka. It’s available at select brick-and-mortar and online liquor distributors, but if you find yourself in the Aspen/Basalt region of Colorado, be sure to visit the distillery. Their distillation equipment is truly top-notch—you’ll find out why “single-distilled” is something to be celebrated—and their café serves some of the region’s best cocktails and charcuterie.